A third-generation fisherman who died after falling overboard from his boat might have had a better chance of survival if he had been wearing a life-jacket, a sheriff has found. After a hearing at Portreee Sheriff Court, Sheriff Eilidh MacDonald determined that Alasdair Finlay MacLeod, from Applecross, died between 2pm and 2.15pm on November 20, 2016, near Eilean nan Naomh, a small island to the west of Camusterrach. A full scale land, sea and air search was launched after the 57-year-old’s boat was spotted empty in the sea by a passing helicopter. The sheriff had previously considered evidence at a Fatal Accident Inquiry, on January 21 this year, from an expert from the Marine Accident Investigation Board and police officers who were on duty when Mr MacLeod’s body was found. 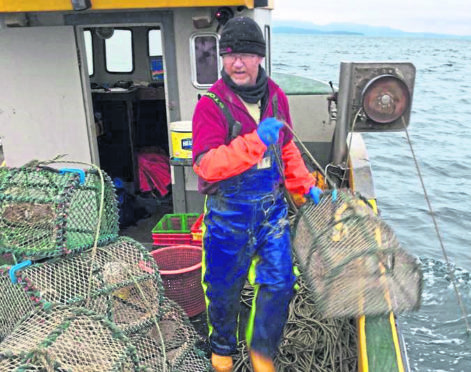 In her report published this month, Sheriff MacDonald said that the cause of Mr MacLeod’s death was drowning, after he fell overboard from his fishing vessel, the Varuna, whilst he was returning from his fishing grounds to his mooring at Poll Creadha, Applecross. Mr MacLeod was a former community council chairman in Applecross. Sheriff MacDonald said that if Mr MacLeod had been wearing a personal flotation device, it “would have provided Mr MacLeod with buoyancy after entering the water”. She said other facts that may have resulted in Mr MacLeod’s death were that a “slot-in door” had not been fitted to the creel shooting gate in the transom, at the stern of the boat, which increased the risk of falling overboard. She concluded her remarks by offering her condolences to Mr MacLeod’s family and friends.